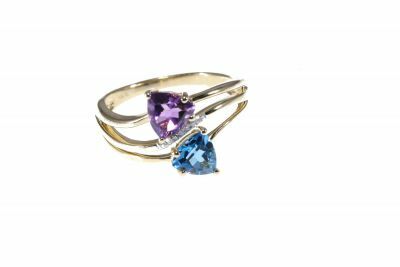 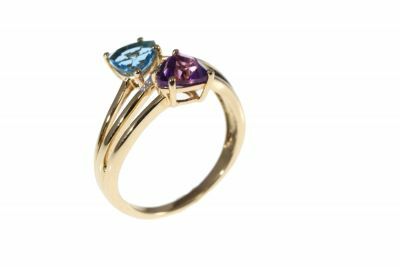 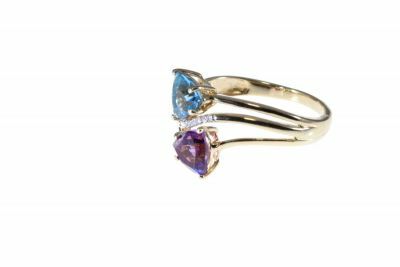 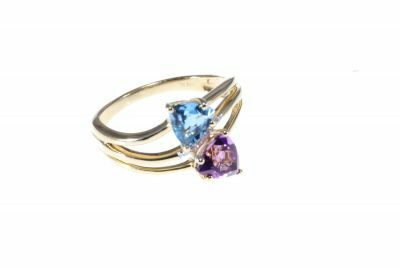 Triangular 2 stone ring with Amethyst and Blue Topaz beautifully accented with just a touch of diamonds . 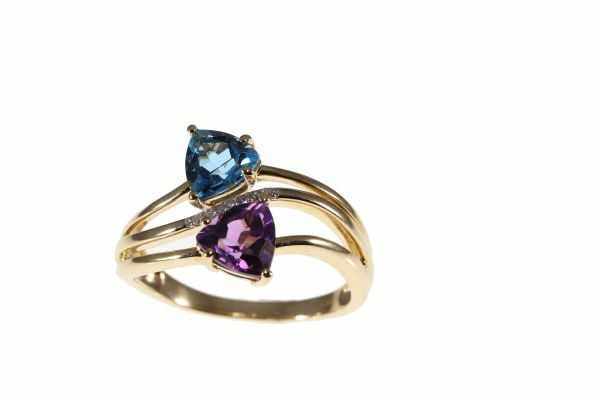 Guaranteed to be a conversation piece everytime you wear it. 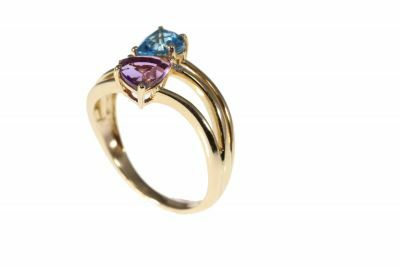 Set in lovely pattern in 10kt yellow gold in a size 7.